Slowly but surely, over the past several years, ECM Records has forged relationships with some of New York City's most impressive musiciansno mean feat given that, despite the Big Apple no longer being the jazz mecca it once was, it certainly remains a lightning rod for some of the world's most creative musicians, ranging from trumpeter Ralph Alessi and saxophonists Tim Berne and Chris Potter, to pianists David Virelles, Jason Moran and Craig Tabornall of whom have been represented, either as guests or leaders, on some of the most uncompromising and impressive music to be released in recent timesnot just on the heralded German label, but anywhere, period. 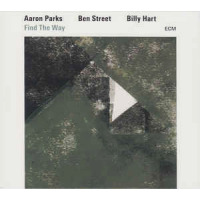 Add to that list pianist Aaron Parkswho, like Taborn's superb first recording as a leader for the label (2011's Avenging Angels), makes his own ECM debut by contributing another fine installment to a label that has, across four decades beginning with Chick Corea's Piano Improvisations Vol. 1 (1971) and Keith Jarrett's Facing You (1972), defined the litmus test against which all subsequent solo piano recordings are measured. 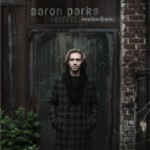 Parks is a rarity: a young musician who, at a time when such things are difficult if not impossible, spent his first few professional years mentored by an older musician, in this case Terence Blanchard. The trumpeter met Parks when the pianist was 15, recruiting him three years later and giving him an opportunity to see how it was done both on the road and in the studio, so that when Parks stepped out on his own with the acclaimed Invisible Cinema (Blue Note, 2008), he was well and truly ready. 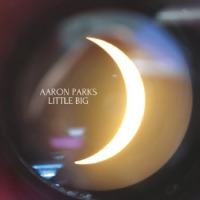 In the ensuing years, Parks has become increasingly in demand, including membership with the egalitarian James Farm, the promise of its 2011 eponymous Nonesuch debut confidently delivered with more recent live performances, and with Kurt Rosenwinkel, whose Star of Jupiter (Wommusic, 2012) represented yet another career milestone for the upwardly mobile guitarist. 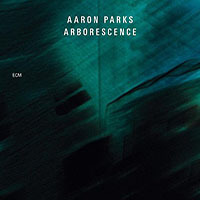 None of which prepare for Arborescence, a suite of eleven largely spontaneous creations that reflect a great many touchstones while, at the same time, speaking with a voice that has fully matured, now plainly assertive of its own personality. The opening "Asleep in the Forest" and darkly pastoral "Elsewhere" feel somehow a kinship to French composer Erik Satie, were he to have hailed from the forests of the Northwestern United States (where Parks grew up) instead of the southern estuary of the Seine River in Northwestern France. 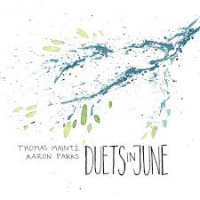 Minimalistic hints imbue the repetitive motif-driven "In Pursuit," where Parks' virtuositynever an end, just a meansis more dominant, while the skewed and, at times, abstruse lyricism of "Branchings" and "Past Presence" hint at Paul Bley's innovations in the realm of spontaneously composition, despite Parks' independent voice a constant delineator throughout this 50-minute set. With Parks turning 30 a week prior to Arborescence's October 15 release, the pianist's milestones continue to accelerate. His past work may have been consistently impressive, but Arborescence represents the true watershed of Parks' arrival as an artist whose future shines brighter with every passing year. Track Listing: Asleep in the Forest; Toward Awakening; Past Presence; Elsewhere; In Pursuit; Squirrels; Branching; River Ways; A Curious Bloom; Reverie; Homestead.